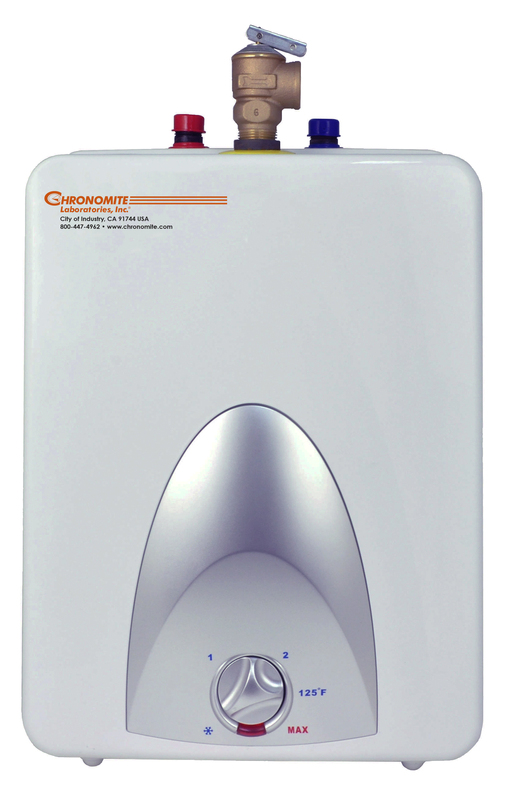 WHY CHRONOMITE® ELECTRIC MINI TANK WATER HEATERS? Hot water when you need it, where you need it! The Chronomite CMT Series point-of-use electric Mini Tanks are an everyday, eco-friendly and cost-effective solution to most under the counter, point-of-use applications requiring hot water. Mini Tanks are designed to supply hot water for all bathrooms, hand washing stations and kitchen sinks in residential, commercial and industrial applications. 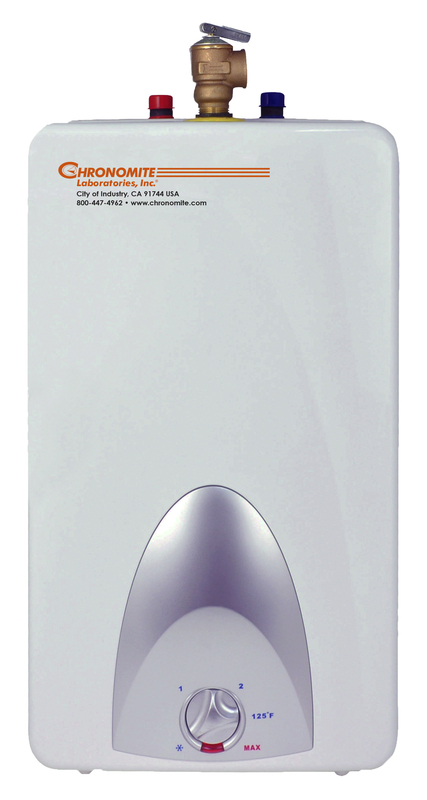 Install the Chronomite CMT Series to eliminate the wait for hot water and reduce waste of water at the same time. 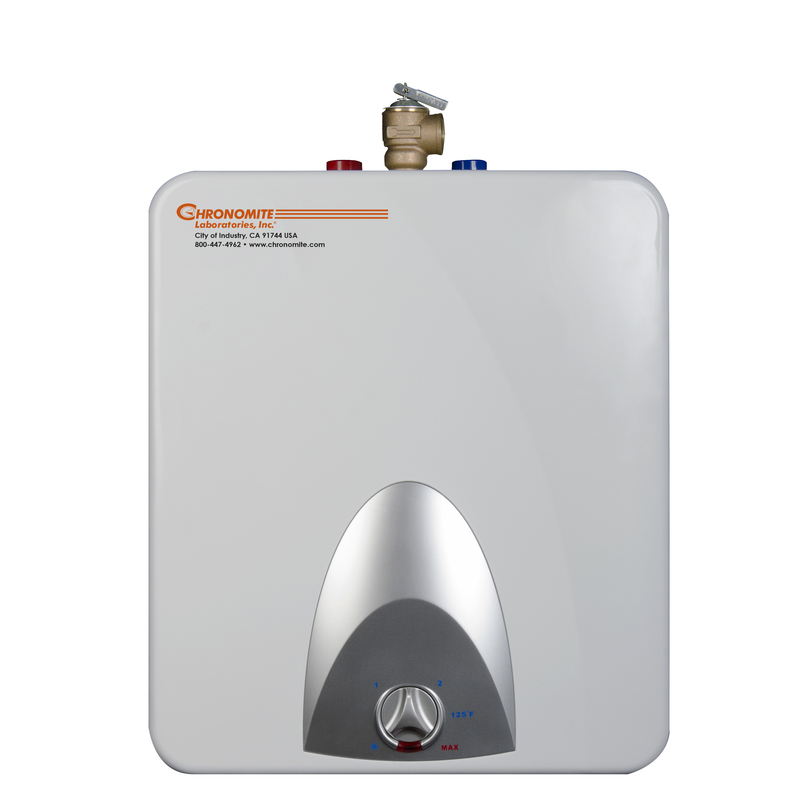 Chronomite Mini Tank water heaters are lightweight, compact, manufactured for easy installation and designed to be mounted on the wall or vertically on the floor. Chronomite CMT Series point-of-use electric Mini Tanks are supplied with cold water or in-line at point-of-use close to a sink. 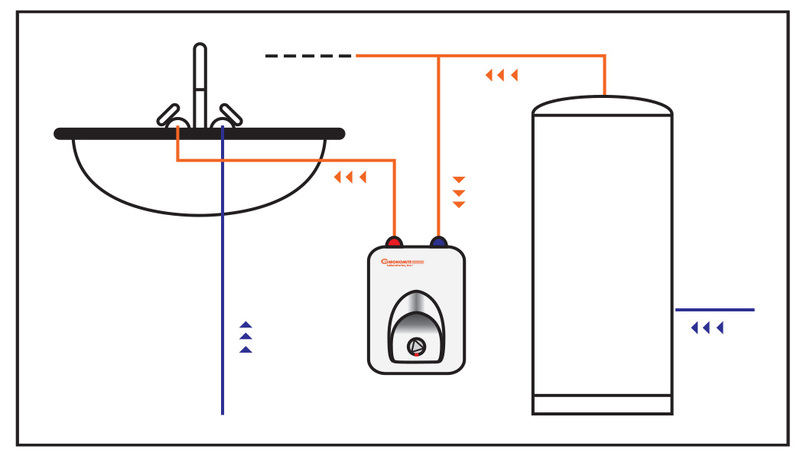 Independent - Use a Chronomite Electric Mini Tank Water Heater at point-of-use for sinks that do not have hot water. 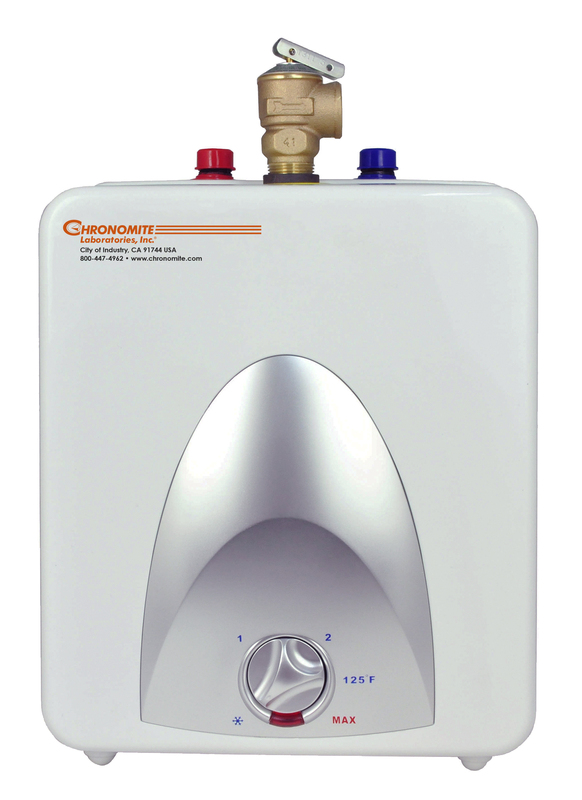 Install the Chronomite Mini Tank close to the point-of-use, so hot water is delivered quickly. 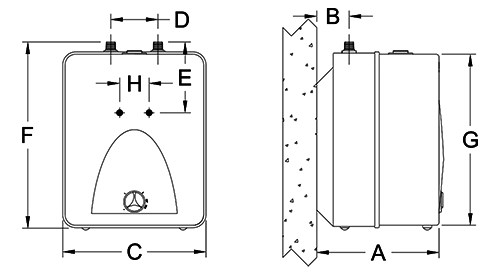 Plumb to one sink or multiple sinks in the same area. 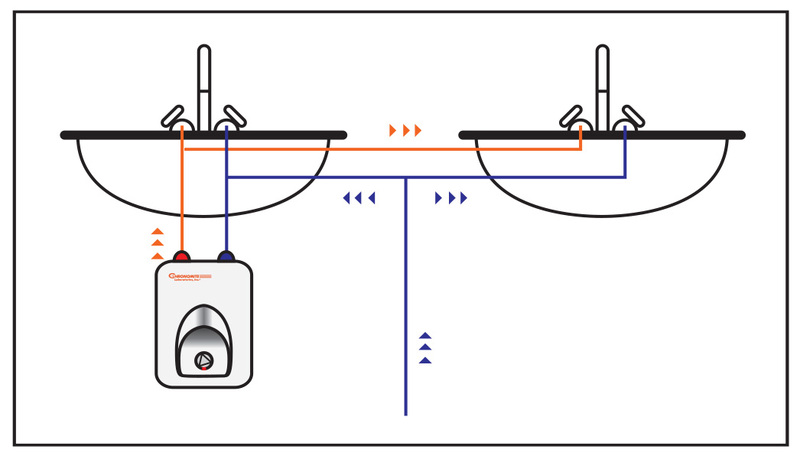 In-line - Connection at the point-of-use eliminates the long wait for hot water from the central tank type of water heater. Plumb in-line with the central water heater. The Mini Tank is filled with hot water from the central water heater, conserving water and energy. The main benefits of a Chronomite Electric Mini Tank Water Heater are not having to wait for hot water, and not wasting water while you wait for hot water to arrive!